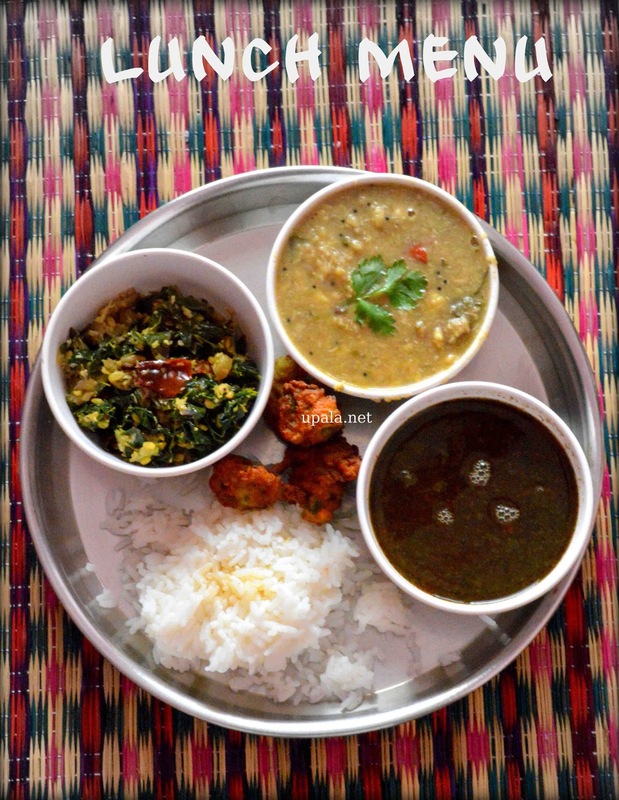 2) To start with this Lunch menu first thing you can do is soaking the moong dal, soaking tamarind for masiyal and Rasam. 3) You can dry roast the ingredients for milagu Rasam and grind it. After doing this dry grinding, you can do wet grinding for Masiyal using same mixer jar. 4) For Pesarattu bakoda, you can mix the ingredients and keep it ready the day before itself. You can keep this batter in fridge.